Trent shape AB66. 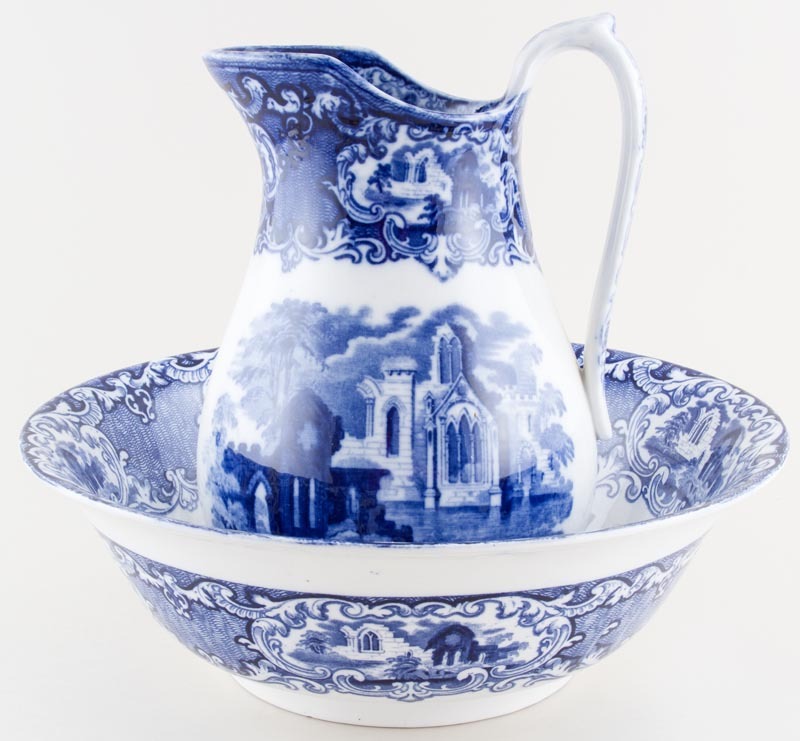 A fabulous ewer and bowl printed in a rich blue. Backstamp: George Jones & Sons Abbey 1790 England. The bowl has a little very minor surface scratching inside otherwise excellent condition. The ewer is in excellent condition and a very slightly darker blue than the bowl. OVERSEAS SHIPPING OUTSIDE EUROPE Owing to the size of this item a supplement of �0 about US$132 will be added to the standard overseas shipping charge.